Everyone knows about the giant social media ruler “Facebook.” Every time it launches the most exciting, user required and successful features that are incomparable with other competitors. Perhaps one other social media platform is competing with it’s blasting tools. Now we are here to discuss the thrilling news of Facebook that it launched the video calling devices named “Facebook Portal.” Portal+ is also available. It gives the pleasure of being in the same room when you are away from your family or friends. These two Facebook video communication devices change the way to keeping in touch through the use of ultimate AI technology. 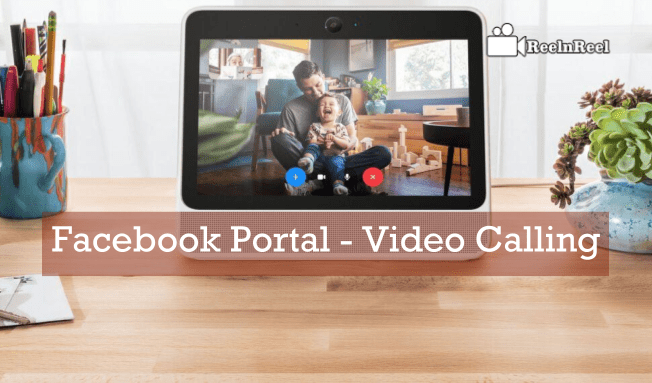 The widescreen display of Facebook Portal lets the users hang-out with friends by easily making video calls. Are you bothering of being miles apart from your loved ones? No worries Facebook Portal is the best match to meet your cronies regularly. It has come up with inbuilt Alexa. We can expect the hunger race between the Facebook Portal and Amazon Alexa. Is Facebook collects all information of Facebook Portal user? The AI technology let the users enjoy the convenient video calling through a smart camera and smart sound. The smart camera zooms to view all as you are cooking in the kitchen and chasing the kids. Smart sound diminishes the background noise and also enhances the voice over call. You can make calls on Facebook messenger friends though they had no portal. Messenger enabled tablets, and smartphones let us make calls. Both privacy and security are essential while getting into new technology. Especially controlling over the device is the important aspect while using any. Both microphone and camera can be disabled only with a single tap. You can block the camera lens by using the camera cover and still can get the notifications and incoming calls. Locking the screen with 4 to a 12-digit password is possible. Hands-free video call is the effective feature in it. Just by saying “Hey Portal” you can make the calls. Moreover, it has inbuilt Amazon Alexa from whom you can get the weather report, sports score, ordering groceries and controlling home devices, etc. Portal offers shared activities that you are watching favorite shows and listening to music together. Augmented Reality powered by Spark AR is going to incorporate into Facebook Portal to give more fun while making video calls. With ultimate visual effects and sounds, Story Time makes your story much exciting. It turns your voice and face as the stories character on the other side while using the smart camera. Portal’s Superframe will display your favorite videos and photos and reminds birthday notifications and many more. Spotify Premium, iHeartRadio, Pandora, Newsy and Food Network. Note: It is going to partner with some more. The cost of it is $199. Display of it is 10.1 inches. 9.84 W x 8.20 H x 3.68 D (inches). 12MP and 140° DFOV camera. 4-mic array and 360° pickup microphone. The ambient light sensor is available. Wi-Fi (802.11a/b/g/n/ac), Dual-band MIMO (2.4 and 5 GHz) and Bluetooth 4.2 technology are equipped. Long with the Box, the buyer gets Portal, Power Cord, Start Guide, and Camera Cover. It never collects the data of the video calls you made. The portal communication will be in-between you two. In addition, the Facebook Portal video calls are encrypted where we can feel more secure. The implementation of AI technology in smart cameras and sound will let them run on the local portal and will not be on Facebook servers. After you wake-up Portal as “Hey Portal” to sends voice command to the Facebook servers just as other voice-enabled devices. You have the option to delete the Portal’s call history from Facebook at any time. Is it exciting? Then why don’t you waste your time go and get it before it gets unavailable. It’s going to be the great competitor in the present market. Just keep your home flourish with the extreme joy of entertainment with your loved ones who are being away. Just explore your experience of Facebook Portal with others.